Danny Briere founded TeleChoice, Inc., a telecommunications consulting company, in 1985 and now serves as CEO of the company. 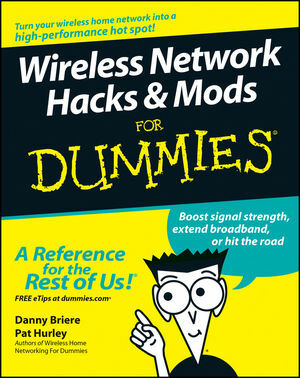 Widely known throughout the telecommunications and networking industry, Danny has written more than one thousand articles about telecommunications topics and has authored or edited nine books, including Internet Telephony For Dummies, Smart Homes For Dummies, Wireless Home Networking For Dummies, and Home Theater For Dummies. He is frequently quoted by leading publications on telecommunications and technology topics and can often be seen on major TV networks providing analysis on the latest communications news and breakthroughs. Pat Hurley is a consultant with TeleChoice, Inc., who specializes in emerging telecommunications technologies, particularly all the latest access and home technologies, including wireless LANs, DSL, cable modems, satellite services, and home-networking services. Pat frequently consults with the leading telecommunications carriers, equipment vendors, consumer goods manufacturers, and other players in the telecommunications and consumer electronics industries. 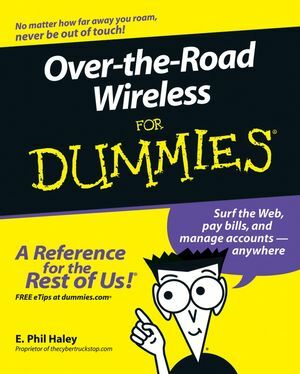 Pat is the coauthor of Internet Telephony For Dummies, Smart Homes For Dummies, Wireless Home Networking For Dummies, and Home Theater For Dummies.